Face to Face Job Interview Jackie Kroening www.lifetour.com. 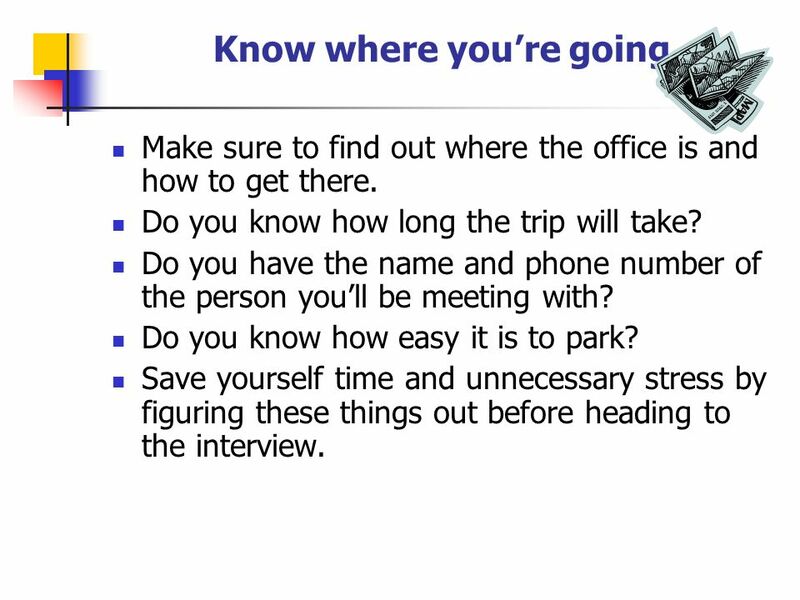 5 Know where youre going Make sure to find out where the office is and how to get there. Do you know how long the trip will take? Do you have the name and phone number of the person youll be meeting with? Do you know how easy it is to park? Save yourself time and unnecessary stress by figuring these things out before heading to the interview. 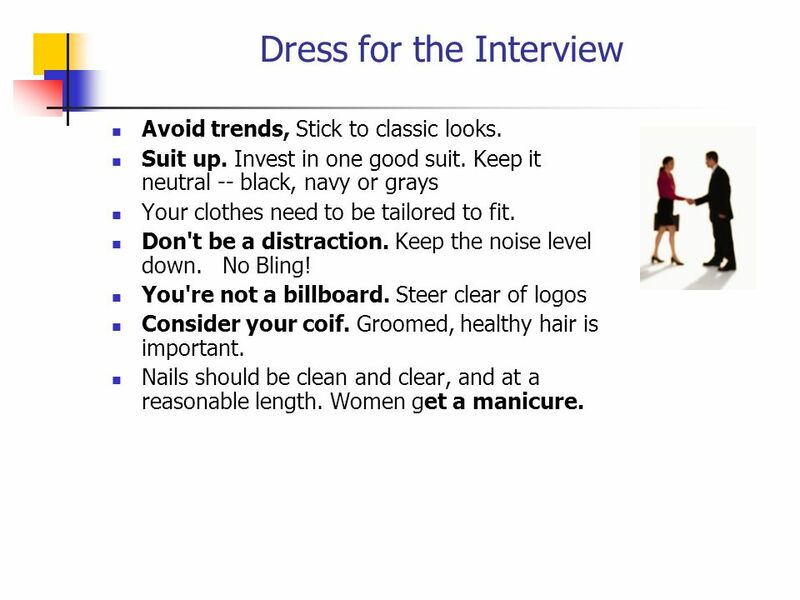 7 Dress for the Interview Avoid trends, Stick to classic looks. Suit up. Invest in one good suit. Keep it neutral -- black, navy or grays Your clothes need to be tailored to fit. Don't be a distraction. Keep the noise level down. No Bling! You're not a billboard. Steer clear of logos Consider your coif. Groomed, healthy hair is important. Nails should be clean and clear, and at a reasonable length. Women get a manicure. 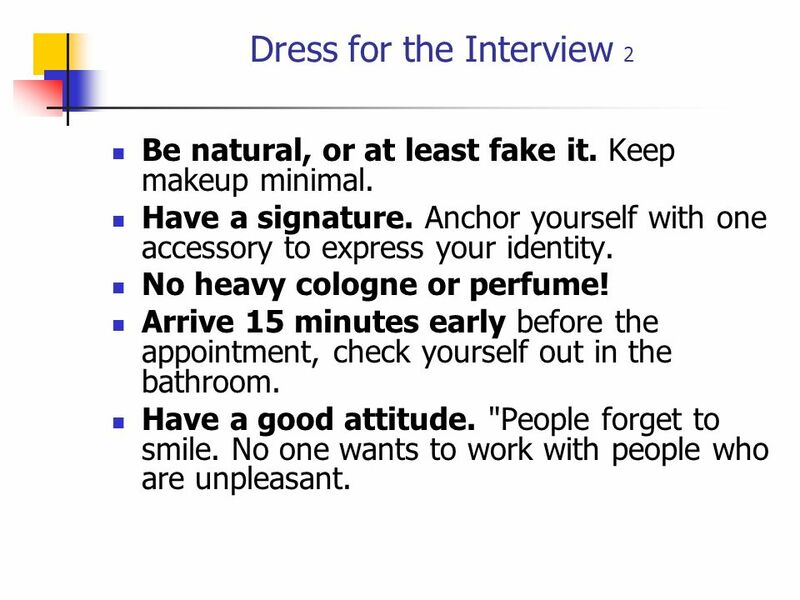 8 Dress for the Interview 2 Be natural, or at least fake it. Keep makeup minimal. Have a signature. Anchor yourself with one accessory to express your identity. No heavy cologne or perfume! Arrive 15 minutes early before the appointment, check yourself out in the bathroom. Have a good attitude. "People forget to smile. No one wants to work with people who are unpleasant. 9 The Handshake It tells a story about each person. 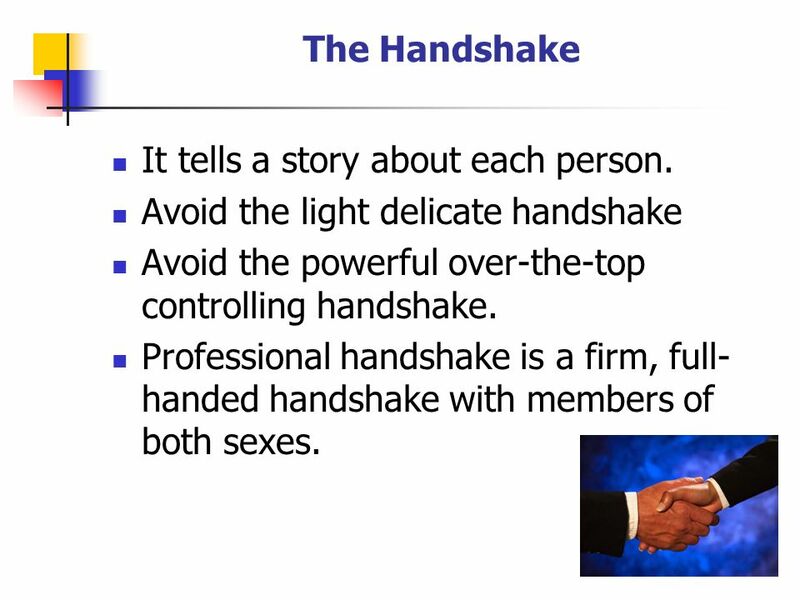 Avoid the light delicate handshake Avoid the powerful over-the-top controlling handshake. Professional handshake is a firm, full- handed handshake with members of both sexes. 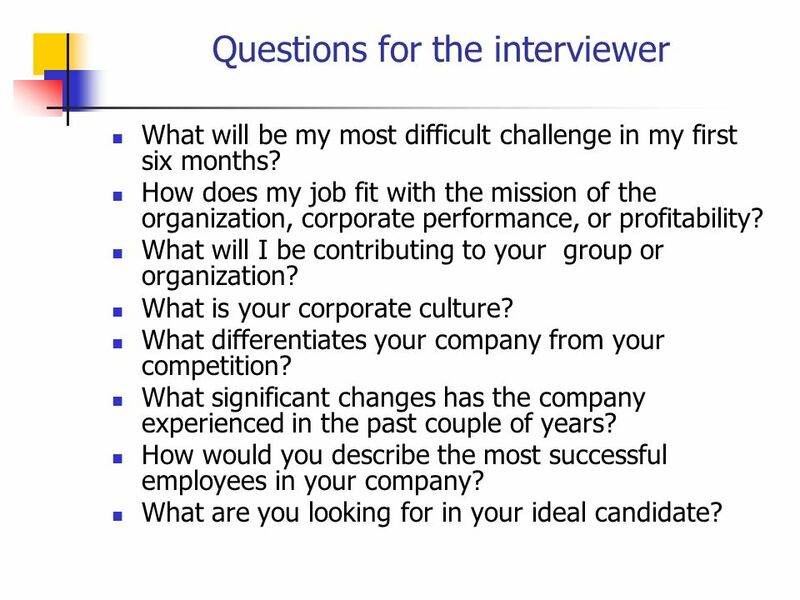 11 Questions for the interviewer What will be my most difficult challenge in my first six months? How does my job fit with the mission of the organization, corporate performance, or profitability? What will I be contributing to your group or organization? What is your corporate culture? What differentiates your company from your competition? What significant changes has the company experienced in the past couple of years? How would you describe the most successful employees in your company? What are you looking for in your ideal candidate? 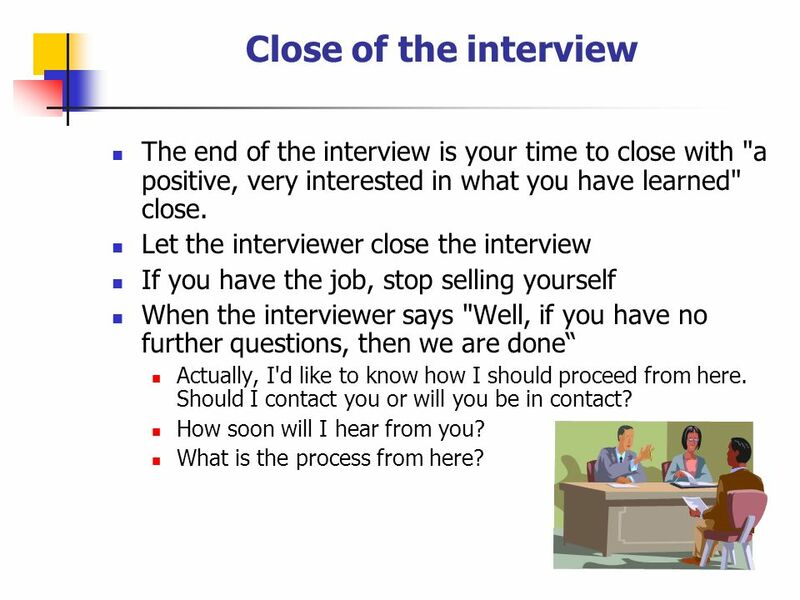 13 Close of the interview The end of the interview is your time to close with "a positive, very interested in what you have learned" close. Let the interviewer close the interview If you have the job, stop selling yourself When the interviewer says "Well, if you have no further questions, then we are done Actually, I'd like to know how I should proceed from here. Should I contact you or will you be in contact? How soon will I hear from you? What is the process from here? 14 Follow-up Now go to your car and write down what just happened. 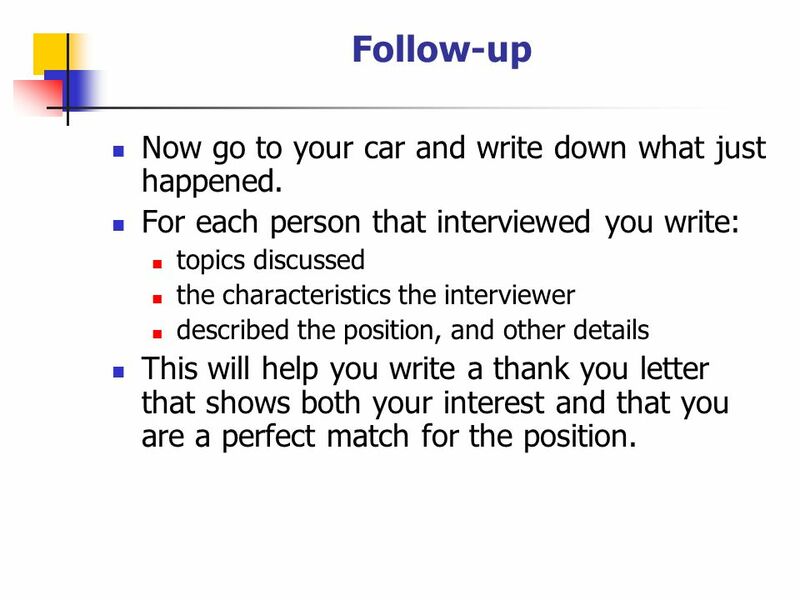 For each person that interviewed you write: topics discussed the characteristics the interviewer described the position, and other details This will help you write a thank you letter that shows both your interest and that you are a perfect match for the position. 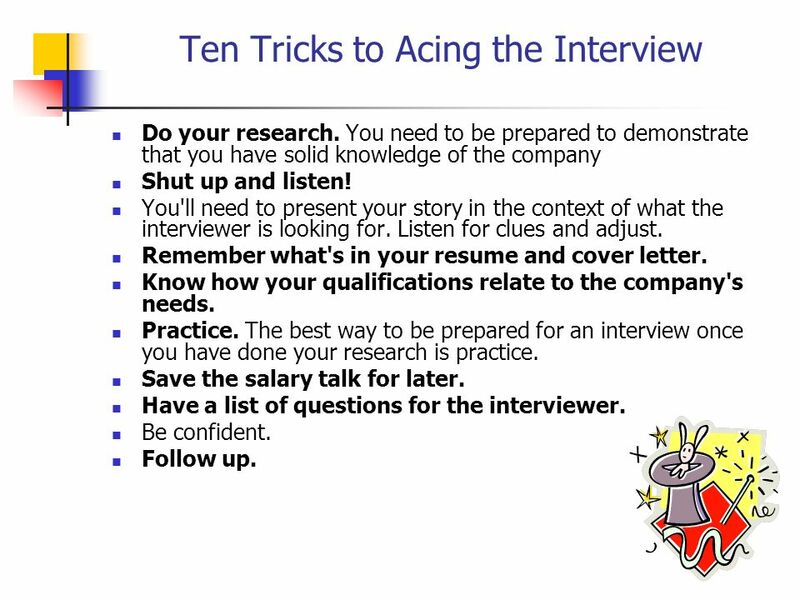 16 Ten Tricks to Acing the Interview Do your research. 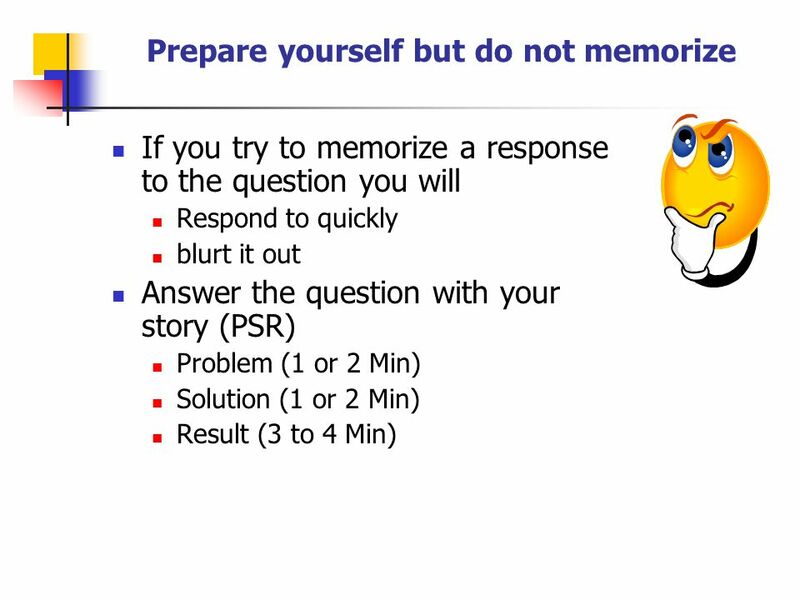 You need to be prepared to demonstrate that you have solid knowledge of the company Shut up and listen! You'll need to present your story in the context of what the interviewer is looking for. Listen for clues and adjust. Remember what's in your resume and cover letter. Know how your qualifications relate to the company's needs. Practice. 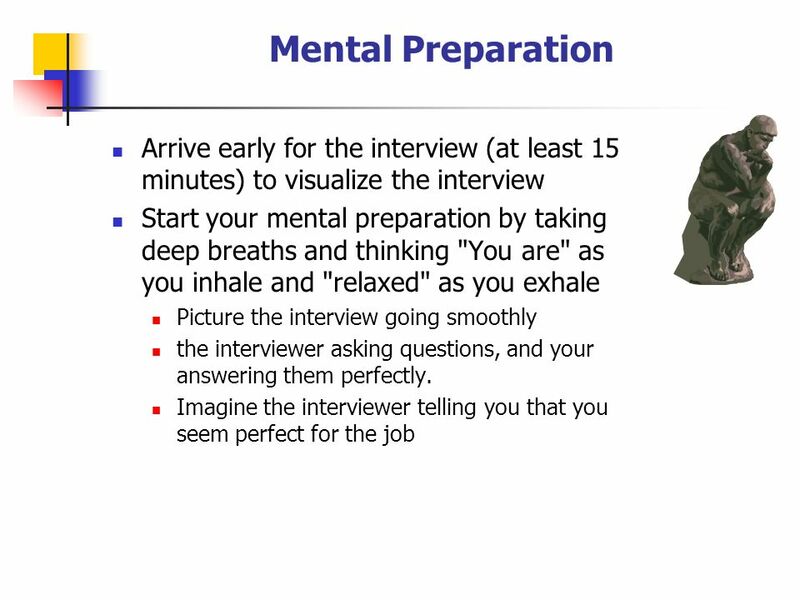 The best way to be prepared for an interview once you have done your research is practice. Save the salary talk for later. Have a list of questions for the interviewer. Be confident. Follow up. 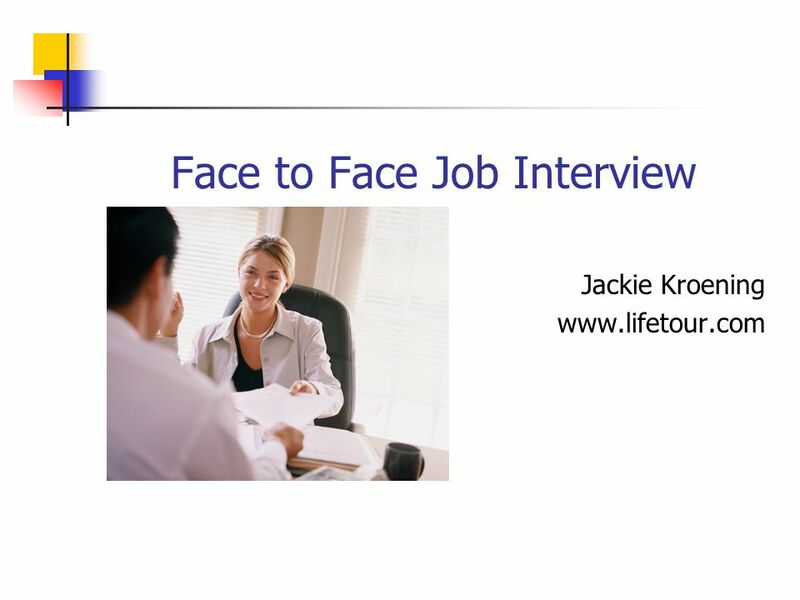 Download ppt "Face to Face Job Interview Jackie Kroening www.lifetour.com." 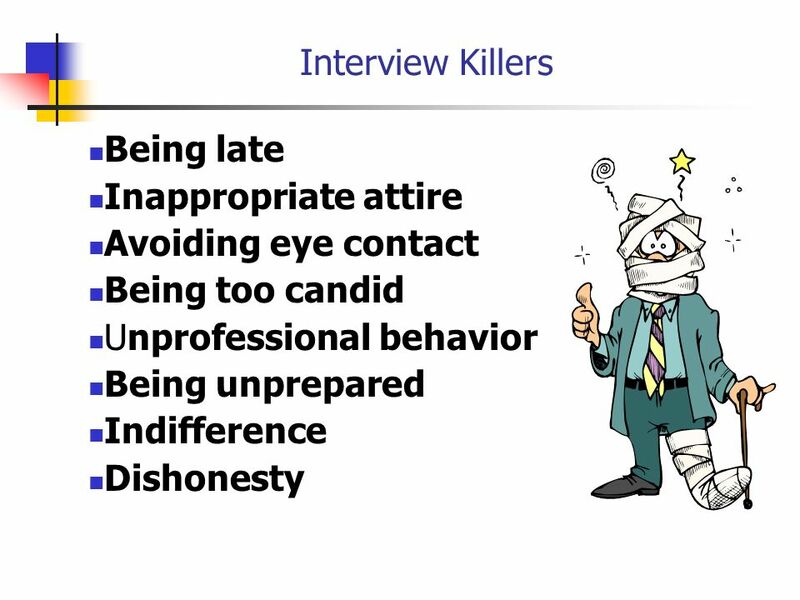 Tips for a Successful Interview. 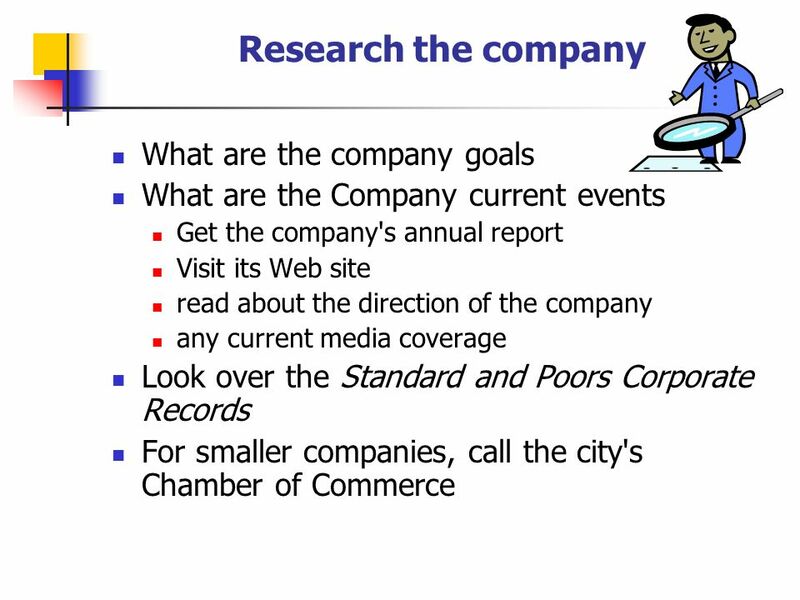 Things to know Know the mission statement of the company Know the job description Know the required qualifications Know. dress accordingly in business attire Suit (navy, black or dark grey) The suit skirt should be long enough so you can sit down comfortably Coordinated. Module 5 Applying for Work. Learning Outcomes  5.1 Recognise different ways of sourcing jobs.  5.2 Produce a Curriculum Vitae (CV).  5.3 Complete job. ACE THE INTERVIEW By Career Services Refer to pages of the Career Services Career Guide. So, you want to do an internship…. Eileen Kraemer Feb. 1, 2005. Nursing Strategies The Final Day. Explore potential paths (378) A wide array of job possibilities exists Within each job, there is variety of tasks and. The Careers Powered By English series English Interview Skills Session 6 of 9 By Lado Management Consultants Adrian O’Donnell. Ace your Interview !!!. What is an interview all about ? Selling Yourself Identifying Employer’s needs & figuring how you can create value for their organization. 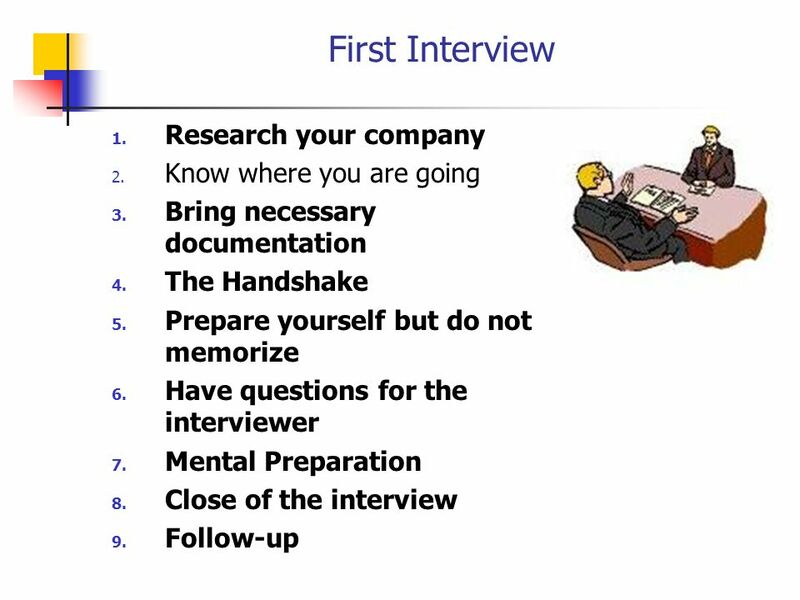 The Steps to Interviewing Success Before During & After. Interviewing 101 You got yourself in the door… now it’s time to WOW them! Personal Finance Bell Ringer Log on to your computer or move to a computer if you do not have one Agenda Discuss what you learned from creating a career. 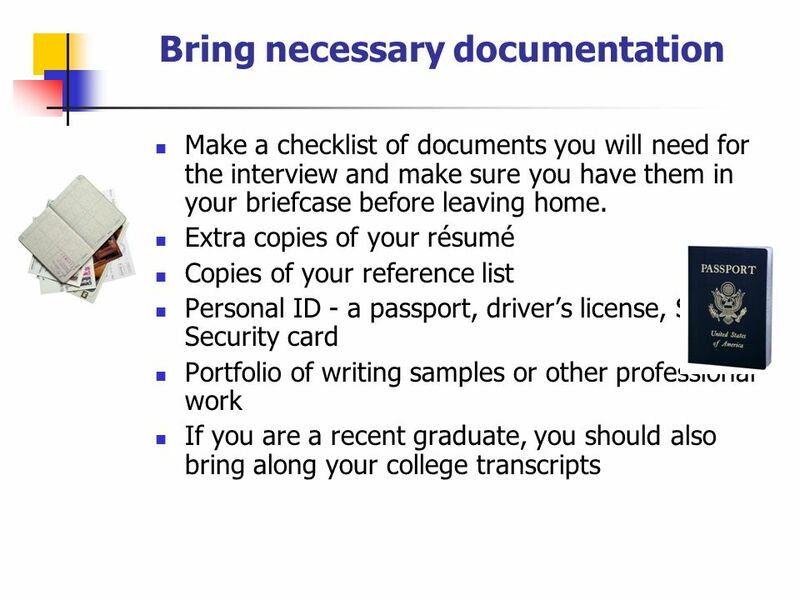 Job Search Skills. Congratulations! Hiring statistics for recent college graduates. Bridge between you and your JOB… !!! CAMPUS RECRUITMENT CAMPUS RECRUITMENT. Job Interviews: Making a Big Impression Nicole Korak MSN, FNP-C Senior Director, Quintiles.